Here is a Sneak Peek of the Amazing Grace Spa Trio… The Amazing Grace Free Crochet Pattern Series is dedicated to Breast Cancer Awareness. Each pattern in the series can be made for someone who is suffering or recovering from cancer and loved ones who are supporting them. They are also great for gifts or a treat for yourself!! Stay tuned tomorrow morning for the next Amazing Grace Free Crochet Pattern!! Amazing Grace Headband… Free Crochet Pattern!! 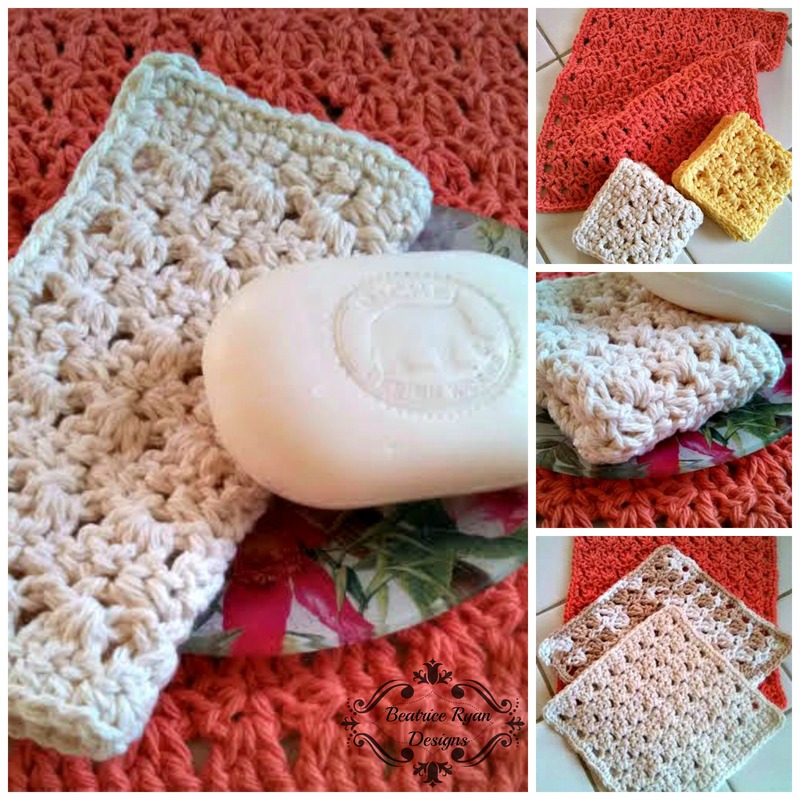 I love crocheting scented washcloths! I pair them with a bar of all natural soap and give as gifts. Great idea and a really nice addition to the AG series!! Can’t wait for patterns, thank you! Alright, off to work on my puff stitch booties!! !